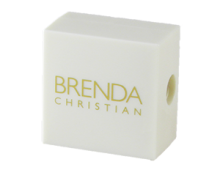 The Brenda Christian Valet includes colors and powders selected by Brenda Christian, herself, for her own daily makeup application, all packaged in a beautiful celadon compact complete with double ended professional eye brush and (do your makeup on the run) Magnified Mirror. The Brenda Christian Valet includes three Deluxe Eye Shadows in Wedding March, Pebble, and Toast, a micronized Tender Blush in Tender Plum, Petite Cipria Confetti and her New Cipria Gleamer, Brenda’s signature glistening powder which can be used on face, eyes and lips. Enjoy! Light up your face with Brenda Christian Cipria Gleamer. with four beautiful ribbons of mineral based color lights, the miracle product works absolutely EVERYWHERE! Pink, Chiffon, Lilac and Peach may be used on eyes and face. Use it on the eyes alone to achieve a soft, flowing effect. Wear over Deluxe Eye shadows to add extra light or shimmer. Try mixing the Pink and Peach for a perfect eye lid color. Apply Lilac over soft taupes and creams in the eye area to give the lids an etheral presence. Highlight with Chiffon under and over the eye brow as well as top of cheek bones. 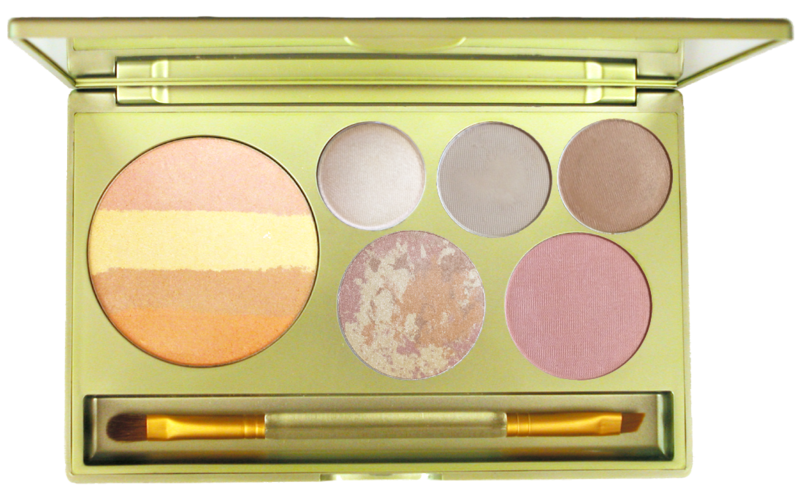 Unleash your personal creative genius and have fun creating your own color combinations for fresh, pretty eyes, cheeks and face in an instant. 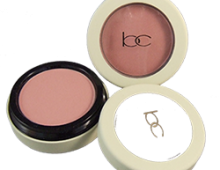 Usage Directions: Brush lightly over tops of cheek bones and blushing color to add beautiful, subtle light and shimmer. Can also be used on shoulders and anywhere your imagination takes you…..
Cipria Confetti uses soft focus pigments to diminish facial lines, while gently color correcting facial imperfections. Imparting a light radiance to the skin, Cipria Confetti can be used to accentuate the eyes and highlight the face. Stroke just above the eyebrows to add light to the face. Brush over eyes and cheekbones to highlight. Brush lightly over entire face to give soft, evening glow to makeup application. Three beautiful shades of Wedding March, Pebble and Toast create perfectly beautiful eyes for everyday, which can easily be intensified to move into evening. Apply Wedding March with Eye Shadow Brush, just under eyebrow to highlight. Apply Pebble to entire eye lid. Press Toast into the eye contour with the Eye Shadow Brush, then blend by brushing upward. Tender Plum is the perfect name for this one size fits all silky blush. Formulated without pearls to allow for perfect color and contour, just sweep Tender Plum over cheek area in circular movement with Blusher Brush.